Hungry customers line up at the Lone Wolf truck in downtown Tulsa. Photo by Casey Hanson. Not so long ago, Oklahoma City’s food truck fare was not for the faint of heart. The only offerings to be found required a fierce appetite for both food and danger. This had more to do with location than with the quality of the food itself. For intrepid diners, venturing into crime-riddled parts of south Oklahoma City yielded a cornucopia of late-night taco and torte trucks. Another mecca for foodies – alas, one still occasionally plagued by drive-by shootings – was Bobo’s Chicken, a trailer offering the kind of fried delicacies that mouth-watering memories are made of. It’s hard to believe that, just a few short years later, the popularity of Oklahoma food trucks has exploded. Lured by the twin siren songs of great food and ease of access, many diners in both Oklahoma City and Tulsa can find gourmet goodies just a short stroll up the sidewalk. 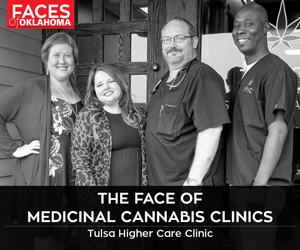 In OKC, the revitalization of the Plaza District and Uptown, along with monthly block parties on the corner of Hudson and Eighth streets, have provided the perfect venue for mobile dining. In Tulsa, the establishment of the Guthrie Green in the Brady Arts District has proven to be a beacon for food trucks and mobile foodies alike. But Oklahoma has long been home to great parks, events and neighborhoods. Why, all of a sudden, the passion for mobile meals? “People like being able to walk up to a truck and get restaurant-quality food,” says Josh Lynch, owner and operator of The Dog House, one of Tulsa’s longest running mobile food operations. The Dog House is the ultimate example of what many food trucks are banking on – variety and creativity in cuisine. Dog House customers can choose among such options as the Tulsa Dog with mustard, onions, jalapeno relish, bacon and barbecue sauce; the Chong (peanut butter, cream cheese, sriracha and pickles); or the Seattle Dog with cream cheese, spicy mustard and onions. Perhaps even more than ease of access, this type of innovative fare is responsible for Oklahomans’ outpouring of affection for food trucks. But eager diners are not the only factor in the food truck popularity equation, Lynch says. The recent recession also played a part. Guy Romo, owner and chef of OKC’s Moto Chef, also credits the recent downturn in the nation’s economy. 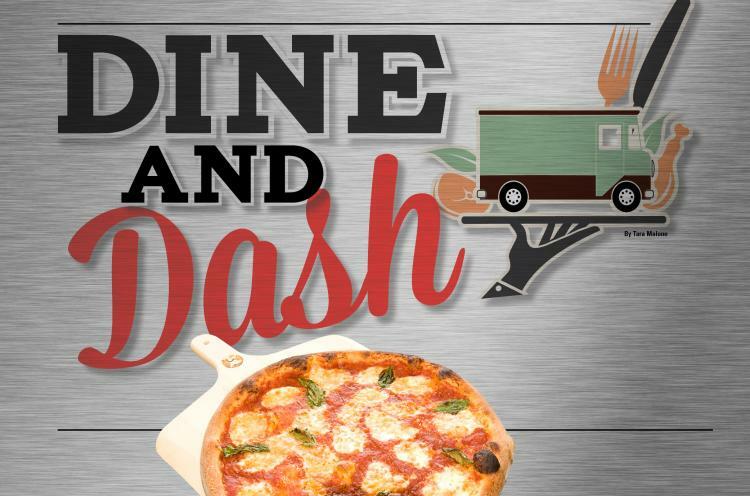 While less expensive to operate than a traditional establishment, running a food truck still comes with costs and complications for operators. Logistics are one of the biggest challenge for the food truck industry, says Romo says. “One must imagine towing or driving a one-ton commercial kitchen, and combining that with the demands of an R.V. in constant motion,” Romo continues. “Propane tanks must be filled and up-to-date on inspection. Water tanks must be filled, utilizing the proper hoses and water sources. Gray water tanks must be emptied and cleaned. Equipment must be latched down and checked again. All paper goods, utensils, small wares and ingredients must be properly stored to avoid spills while in transport. Food must be kept at the proper temperatures during transport in order to meet health code requirements. A power source must be available, which in most cases requires a generator. 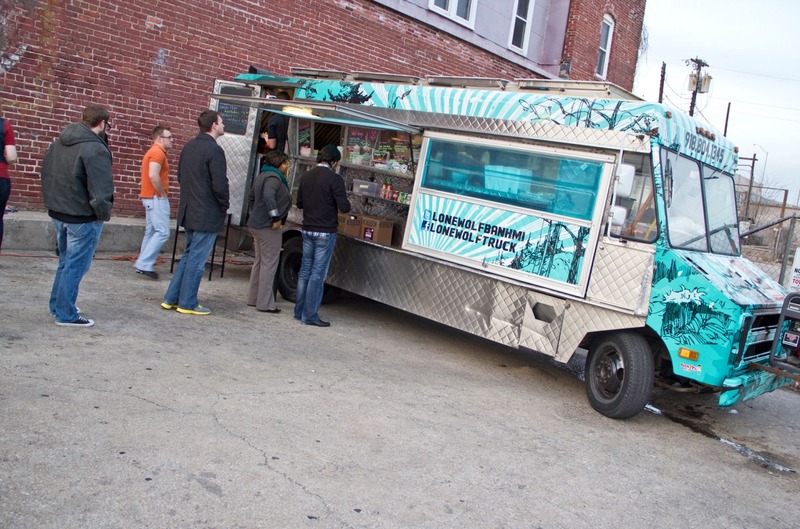 Events are where many food trucks gain much of their success and popularity. Many operators agree that proactive promotion is crucial for a food truck operation to be successful. Like many businesses, the use of social media is integral for mobile food vendors. Sites like Twitter and Facebook let customers know about new menu items, hang-ups with operations and, most importantly, where to find the food. As with all popular trends, some have wondered if Oklahoma’s love affair with food trucks will stand the test of time. So far, the signs are as good as the food. “Food truck customers interact more, not only with one another, but with the chefs and cooks that are preparing their orders,” Romo says. “We know the names of our regulars, their tastes and preferences. We shake their hands and welcome them back, and I believe that sets food trucks apart from the day-to-day restaurant grind. This trend isn’t going anywhere soon.